Mr. Johnnie Lee Lawson, age 90, departed this earthly life on Thursday, February 7, 2019 at Hock Family Pavillion in Durham, North Carolina. He was born in Person County on April 28, 1928 to the late Franshaw and Otelia Lawson. Mr. Lawson attended Person County Public Schools and was a lifetime Farmer. He was a lifetime member and a Trustee at Vernon Hill Baptist Church. Mr. Johnnie Lee Lawson was preceded in death by his son David B. Lawson; two brothers Cleotis Lawson, Sr. and Donnie Lawson; two sisters Frankie Hinchen and Effie Moten. 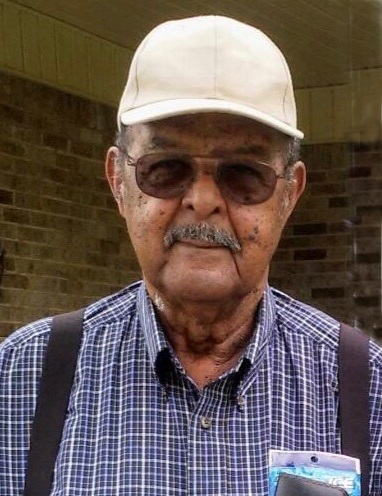 He is survived by his wife of 72 years Barbara Gupton Lawson whom he lovingly referred to as “Bobbi”; four sons, Marshall Lawson, Queselle Lawson, Alan Lawson, and Dennis Lawson; six sisters Ola Whitt, Nadine Cunningham, Mazel Winston, Jaynette Jordan, LaWanda Laventure, and Martha Ann Eubanks; three grandchildren; five great-grandchildren; and a host of additional relatives and friends.